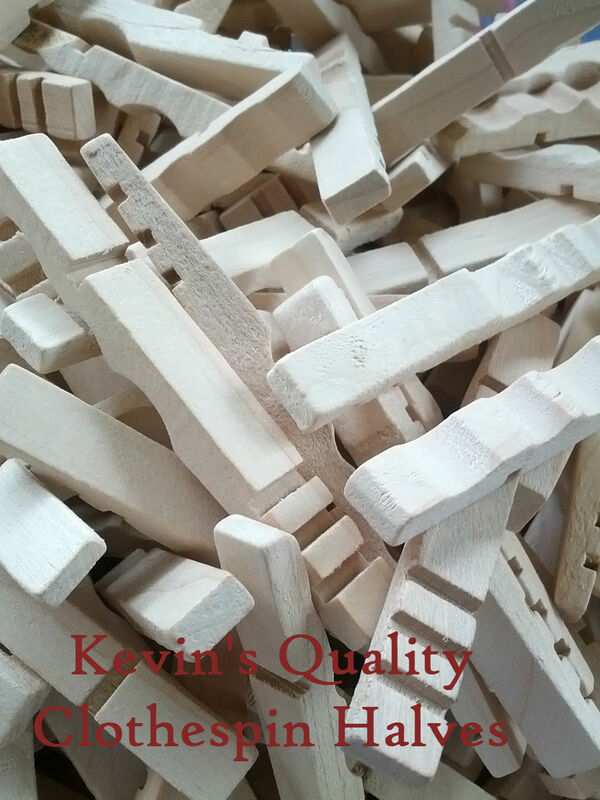 These are the raw, unfinished halves that are used to create our highly praised Kevin’s Quality Clothespins. These solid Maple halves can be used for many crafting projects.The raw, unfinished pin halves allow you to customize the finish for any project. 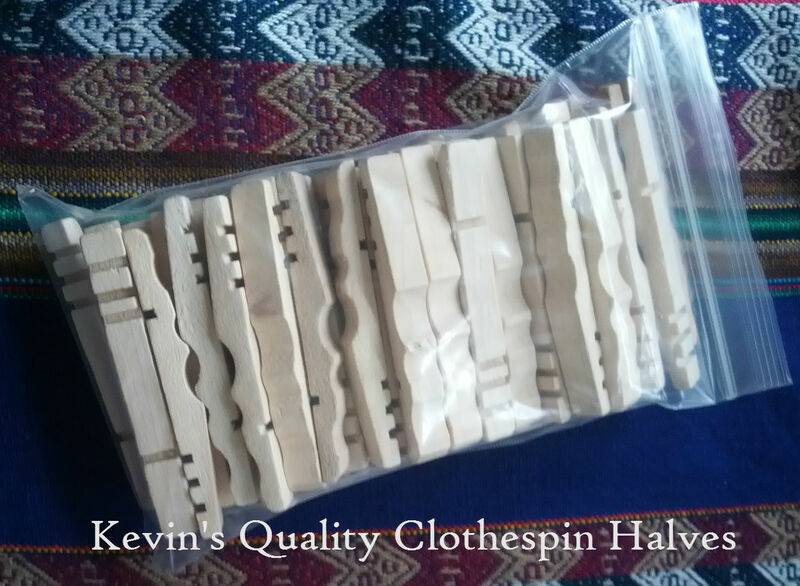 Kevin’s Quality Clothespin Halves are available in packages of 50 for only $9.75. These snowflakes are easy to make and great addition to your holiday decor. One pack of 50 is enough to make 3 ornaments. This trivet is my favorite clothespin craft. It is beautiful and functional. You can use one of the patterns shown here or create you own. The trivet is very versatile and simple to assemble. It can be designed in any pattern you wish, to fit any pot, pan or platter you need to use it for. Plus, it can be kept out between uses for a artful addition to your table decor. There are many ways you can use clothespin halves for crafting.You can find more ideas on our Clothespin Pinterest Board Here. Only $9.75 for a Set of 50 unfinished, Maple wooden Clothespin halves. You can purchase HERE through our Secure Shopping Cart. Free Shipping for Orders of 5 sets or more. This offer can be combined with sets of Kevin’s Quality Clothespins.